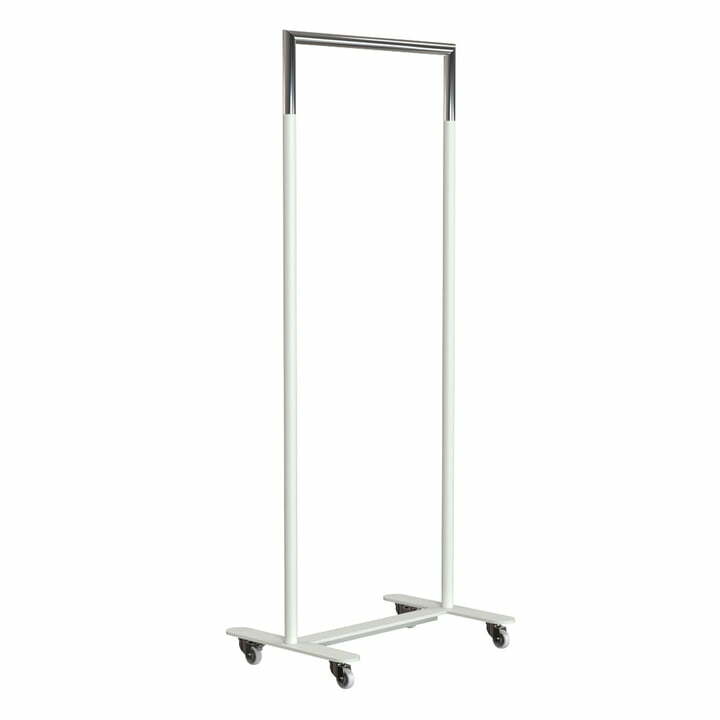 Thanks to the Bukto clothes rack by Bønnelycke for Frost, your favourite clothes can be stylishly displayed. 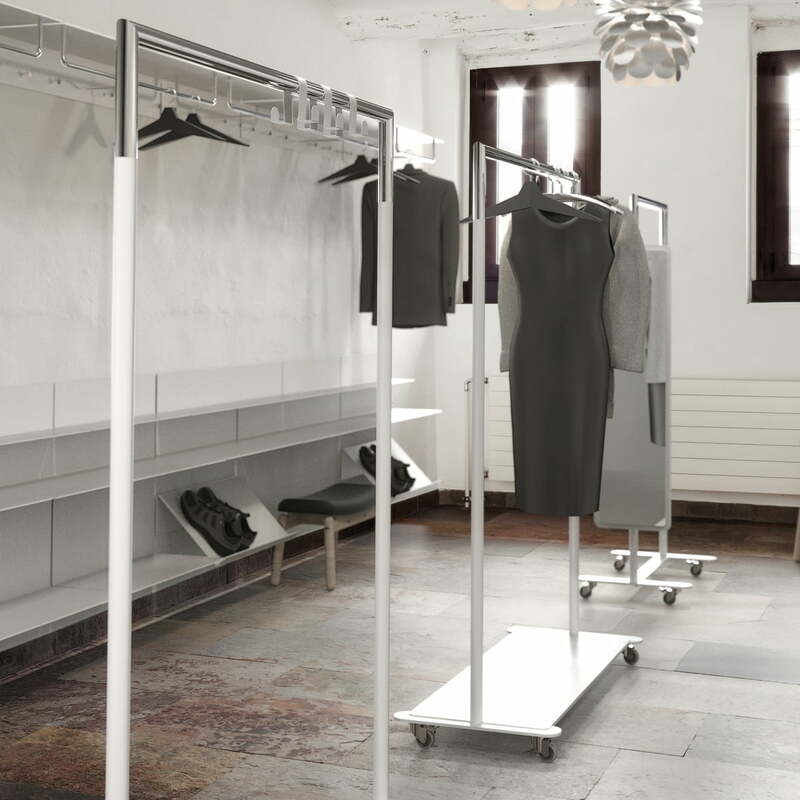 The clothes rail designed by Bønnelycke has an elegant design with straight lines and defined edges, but is so minimalist that it does not steal the show from the clothes. Blouses, trousers and sweaters can find their place in the bedroom and are immediately visible on the bar. When kept in the hallway, the piece becomes a coatrack on which to hang up coats and jackets. 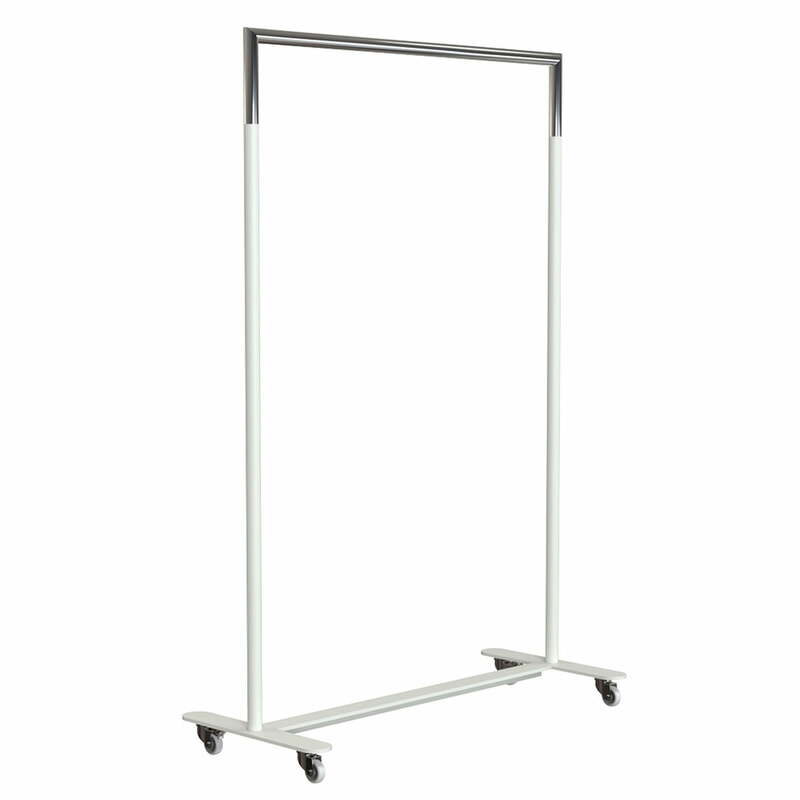 The practical castors give the clothes rail a mobile quality that makes it possible to move it to the desired location. The Bukto coat rack is part of the Frost series of the same name, which consists of cleverly simple storage options for textiles. All products of the series can be combined wonderfully, so that for example a dressing room or a wardrobe can be created. The Bukto coat stand is available with castors in various sizes and colours.